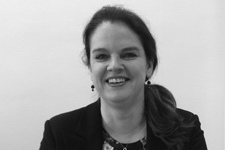 Sarah is a Senior Administrator with Austen Lloyd and is the first point of contact for candidates and clients alike. Very rarely are two days the same in this pivotal role and she very much enjoys the variety that the job brings. She has been with Austen Lloyd from the early days, having previously worked for a large banking organisation. She lives in a village just outside Bristol, and balances a very active family life with the job, being married with two teenage daughters.